On June 18th from 0600GMT (0200EST) David Aranzabal and I will host a day long Trading Webinar from Madrid. This Live Trading event will be simulcast on the Internet, so you will NOT need to be in Madrid in order to enjoy the complete presentation. - the Costanza Setup to trade the news and the 8.25 Setup to day trade the EURUSD and GBPUSD during the European and North American opens. These are the most frequent trades I make - I literally trade them every day - and now you can learn all about them by joining our Live Trading Event. If you sign up up today by clicking http://www.theforexday.com/online-live-trading/ Be SURE TO USE PROMO CODE OnlineLiveTradingEN24h and you'll be able attend the webinar for only 249 Euros. Here is the absolute best part. The webinar will be recorded and once you buy it, you'll be able to watch it for free over and over again. If you are forex trader this is an event that we believe you should not miss. 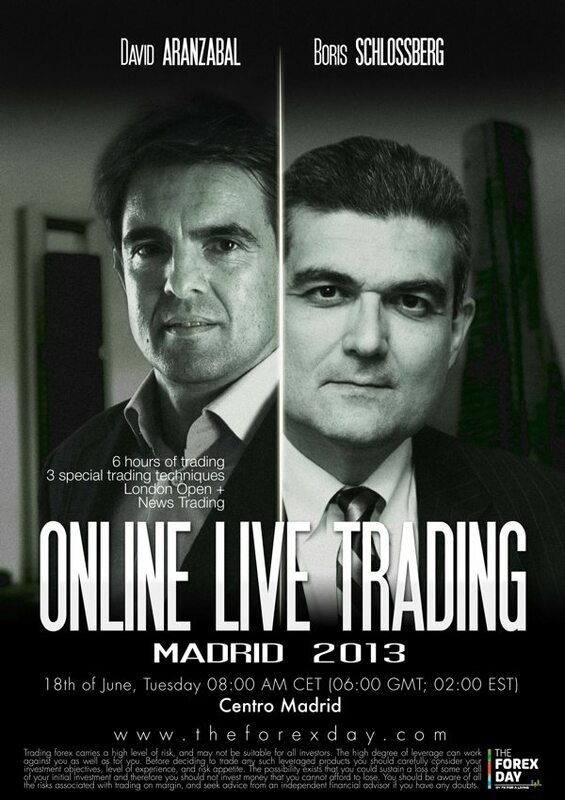 Join Boris and David for LIVE Trading in Madrid. In order to trade well you need to understand what business model suits your personality best. 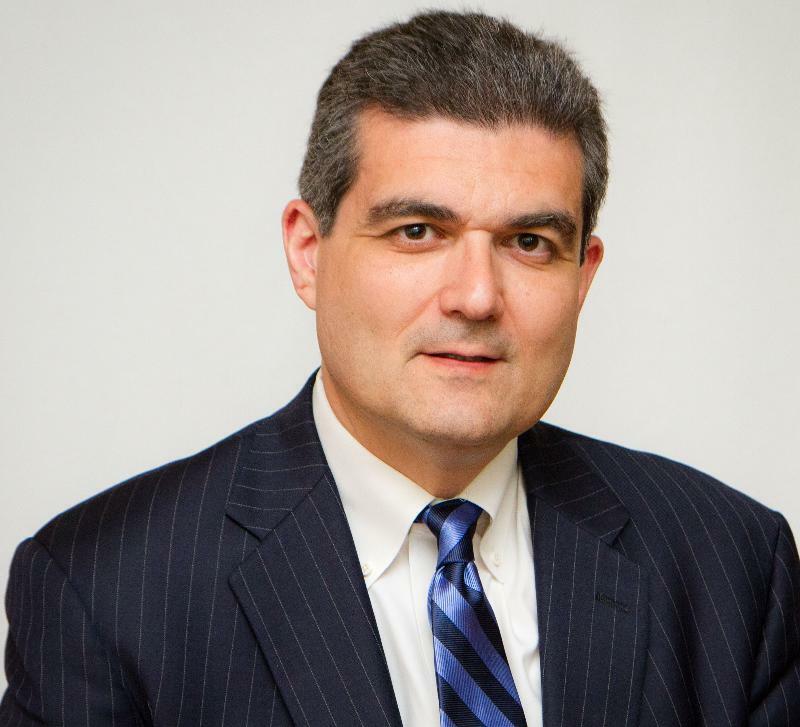 Join Boris Schlossberg as he details the key aspects of two main business models of trading. This could literally transform the way you trade. Why Algorithmic trading is the future and why you need to learn how to make EAs work for you. Learn how to design, program and test a strategy without learning how to code. David is trades the Frankfurt and the London Openings. Over the last 7 years he's been trading this setup on a daily basis. David will teach you how to enter and exit at one of the best moments of the forex markets. The currency market is well known for its wild moves at his time of the day and David will teach you how to trade them. David will trade live at the Frankfurt Open trying to catch countertrend moves that occur during the London Window. David will then trade live at the London Open just as the center of the FX market opens its door. 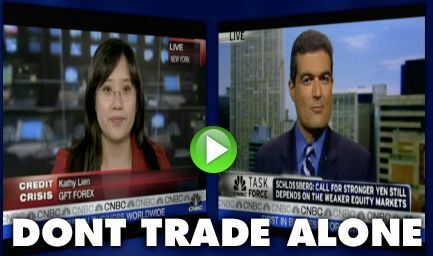 David Aranzabal has taught this Frankfurt/London opening strategy to hundreds of traders of more than 30 nationalities. David is a regular contributor to such media outlets as like Fxstreet.es and Estrategias de Inversión TV, and a lecturer in top Trading Shows in Spain such as Financial Congress, Trading Room, Bolsalia, and Madrid stock exchange.In 2009 he founded the FXforaliving.com trading school, specializing in Forex. Mr. Aranzabal is widely regarded as one of the top professionals in Forex in the Spanish community. Yesterday, during dinner my son asked me what was the most important quality to succeed in business. Without hesitation I replied, "Perseverance." Intelligence, talent, good looks, creativity are all great.. But all of them combined cannot act as a substitute for perseverance. I have lived long enough to see some extremely bright ,Ivy-League-educated friends flounder through life while others less intelligent, less attractive and less talented succeeded beyond their wildest imagination. Many of us have read the famous book by Malcolm Galdwell which argues that any great skill requires at least 10,000 hours of practice. I think that idea is especially true in trading, but I would amend it a bit. I think that if you want really understand daytrading - especially in the FX market - you need to make 10,000 trades before can get comfortable with the market. That's 10 trades per day for 1000 days before you have enough experience to begin to understand price action. Mind you 10,000 trades will in no way guarantee you success, but will hopefully provide you with enough mistakes so that you can start to develop more intelligent ideas that may actually work. Perhaps I am wrong. Perhaps it is only I who is dim witted enough to need so much time to become competent in trading. I have always been a slow learner, but my perseverance has always kept me in the game. I do know one thing however. Most people who try trading quit much too quickly. Three, four losing trades in a row, a blown account or two and suddenly trading doesn't look so appealing anymore. The get rich quick fantasy that was supposed to help you escape the drudgery of your regular job, suddenly turns into yet another complicated, difficult .activity that requires real skill and discipline. That's why the most successful traders, the ones that have survived the longest, are not in it for the money. They love the challenge of the markets.Trading to them is a lifelong pursuit of intellectual, emotional and physical perfection. It is perhaps the ultimate irony that those who do best in markets are not really motivated the money, but by the pursuit of excellence. Ultimately their perseverance is what off in the end.